It requires all guide license renewals and first-time guide license applicants, (except for whitewater guide applicants and renewals) to submit to a criminal history records check [CHRC] that must include criminal history record information obtained from the Maine Criminal Justice Information System and the Federal Bureau of Investigation. This must be done every 5 years when the guide renews their license. Are Whitewater Guides included in this requirement? No, only guides who have a Recreational, Hunting, Fishing, Sea-Kayaking or Tide-Water are required to go through this process. What if I think I have a felony conviction and I currently have a guide license? You must contact Maine Warden Service at 207-287-5240 to report this information. You will be required to submit to a criminal history records check following the steps outlined below to determine whether you may continue to possess a guide license or not. How do I submit to a Criminal History Records Check [CHRC] if I am renewing my license? From there you will need to follow all on screen directions. If my license expires at the end of the year how early can I go through the fingerprint process and then send in my application? You mayschedule your fingerprinting appointment as early as July 1st or 6 months prior to the end of the calendar year before your license is set to expire but you may not send in your full application paperwork until Nov 1st. If my license has already expired but it hasn't been more than 3 years and I want to renew when can I schedule an appointment for fingerprinting? If your license has lapsed past the expiration date you may schedule an appointment any time during the year and submit your application at any time. (For non-resident guides only) where can I have my fingerprints taken? You do not have to go to a fingerprint center in Maine but you must register and pay to get a confirmation number, as a non-resident guide applicant, by going to https://me.ibtfingerprint.com (the Identogo Website). Next, go to the following website to print blank fingerprint cards out: https://www.fbi.gov/file-repository/standard-fingerprint-form-fd-258-1.pdf/view Then make an appointment with a local police department or a state police agency in your home state, bring the fingerprint cards there to have your fingerprints taken manually. Once you have the fingerprints taken you must mail the fingerprint cards yourself, to the address provided on the IdentoGO website (this is shown at the time of registration). Call 1-855-667-7422 if you have additional questions. Where are the fingerprint centers located? Presque Isle, Brewer, Machias, Farmington, Winslow, Augusta, Lisbon, Portland, and Springvale. The rate is set by State Bureau of Investigation [SBI] and is approximately $55. Only payment via credit card can be made. The state contracts with a company named IdentoGO who is the primary live scan fingerprint provider for the State of Maine and a certified FBI channeling agent. Go to the website link: https://me.ibtfingerprint.com. Call 1-855-667-7422 to make an appointment. The appointment takes approximately 15 minutes. Can I use a paper fingerprint card to submit my fingerprints? Only out of state residents or individuals physically unable to be digitally printed are able to use this option. For individuals who qualify to use a paper fingerprint card they can go to the IdentoGO website to complete the process. How will I know if I passed my CHRC? Persons who do not meet the requirements of the CHRC will receive a letter denying their guide license application with instructions on how they may appeal the decision. Persons who pass the criminal history records check will receive a confirmation letter regarding their guide license application and how to proceed to the next step. How long does it take to receive results from the CHRC? Up to 12 weeks but more likely 2-4 weeks. What if my electronic fingerprints are unreadable? How can I get a copy of my CHRC? Contact SBI in Augusta at 207-624-7240. Do I have to do this more than once? This must be done every 5 years or upon renewal of the license. What results from the CHRC make a person ineligible for a guide license? A person is ineligible if the guide or an applicant for a guide license has been convicted of committing a crime in Maine or any other jurisdiction that is punishable by imprisonment for a term of one year or more. Is the CHRC confidential/who sees it? An individual has the right to access or review his or her State of Maine and federal CHRC response. The results may not be released to another party except as permitted under Title 12, section 10908 which states that the information is confidential and is for official use only and may not be disclosed to any other person or entity. The results of the background check will be processed by a MDIFW administrative staff person as well as a MDIFW Game Warden assigned to this process. How do I appeal the denial or revocation of my application? A person has 30 days from notice of denial to request an appeal hearing by contacting Maine Warden Service at 207-287-5240. If I have already had fingerprints done through another agent (teacher, coast guard, etc.) do I need to have it done again? If I have had my CHRC done within the past 6 months for any other reason or for another entity do I need to complete one for my Guide License application? 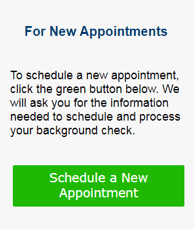 Why can’t I use results from another entity so I do not have to go through the fingerprinting and background check process again? Federal law requires that for CHRI requests related to noncriminal justice purposes, that a new record request must be made whenever a new authorized need arises and fingerprints or other approved forms of positive identification must be submitted.